The organization of the furniture in your living room begins with a floor plan that takes into account the decoration, the design of your house and the flow of traffic you want to create. Traffic patterns can help dictate how to organize your furniture and choose to decorate the living room. Take a look at your living room and determine if there is a point or piece of decoration that you wish to make your centerpiece. This could be a sofa or entertainment center. Anything that draws attention should be established as the central point from which to organize your furniture. 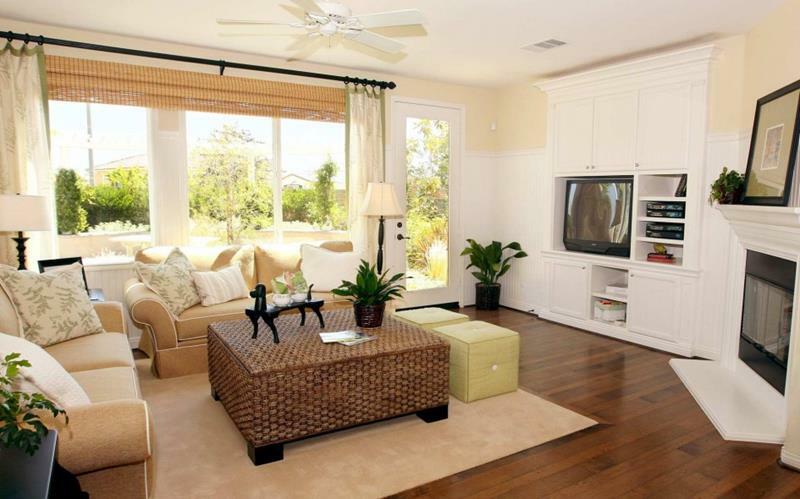 Long, narrow living rooms should be arranged so that the furniture helps reduce the perception of length. Place chairs or the sofa or even a table at right angles to the wall to deactivate the problem of the narrow form. A corner unit is an effective way to deal with the problem of where to place the TV. A large living room should be arranged so that it can be used for more than one activity. Place the furniture so that you have cordoned off specific sections for things like playing video games, watching television, listening to music, reading or just vegetating. The key here is to organize and decorate so that traffic patterns do not overlap and disturb. Consider using windows, cabinets, shelves and high-backed chairs to isolate one section of the room from the other. A large square living room can be avoided by investing in a focus point that diverts attention from the square feel. The idea is to make the living room look longer. And an effective way to create this illusion is by investing in a short set of shelves for books that span the entire length of the wall. You could invest in lighter chairs and tables or furniture with wheels so that your design can be easily rearranged to suit the social need of the grouping. The design of the furniture with easily moved also gives you more flexibility to change your mind about how the living room is arranged. Coffee tables nowadays come in all shapes and sizes. When organizing your living room, keep in mind that while the coffee table is useful for temporary storage of everything from dishes to textbooks, it can also become an obstacle to free movement. Choose your coffee table with mobility in mind, as well as a large enough surface area for storage.